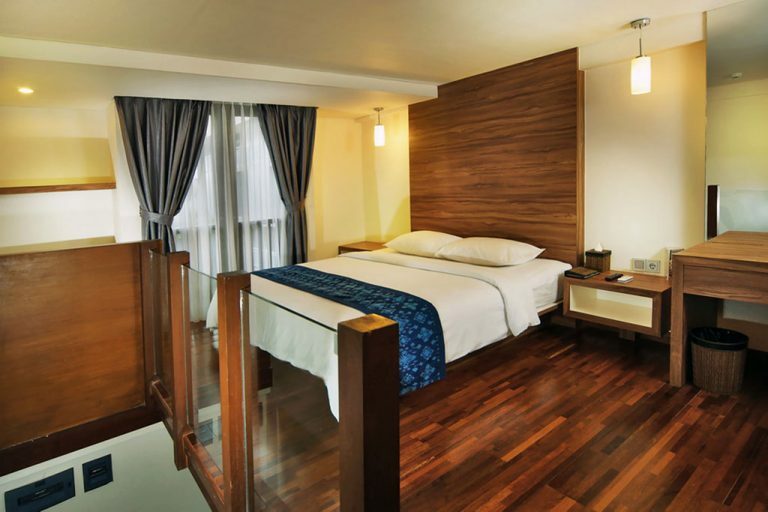 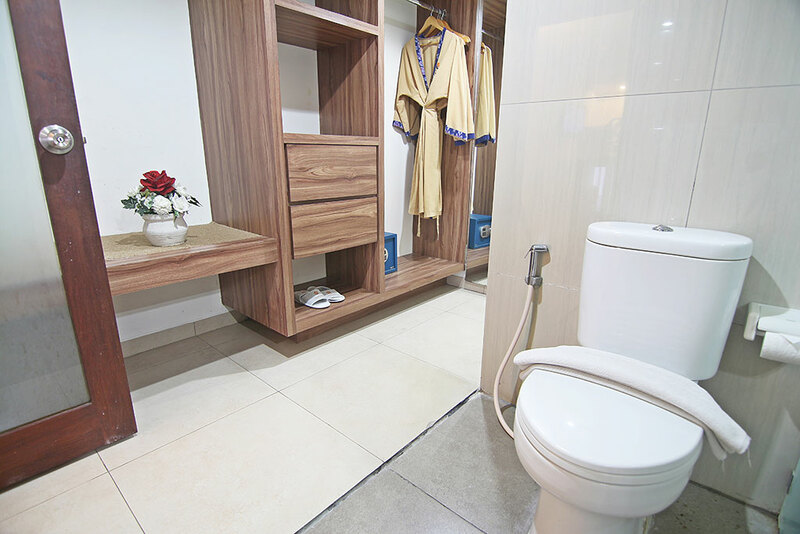 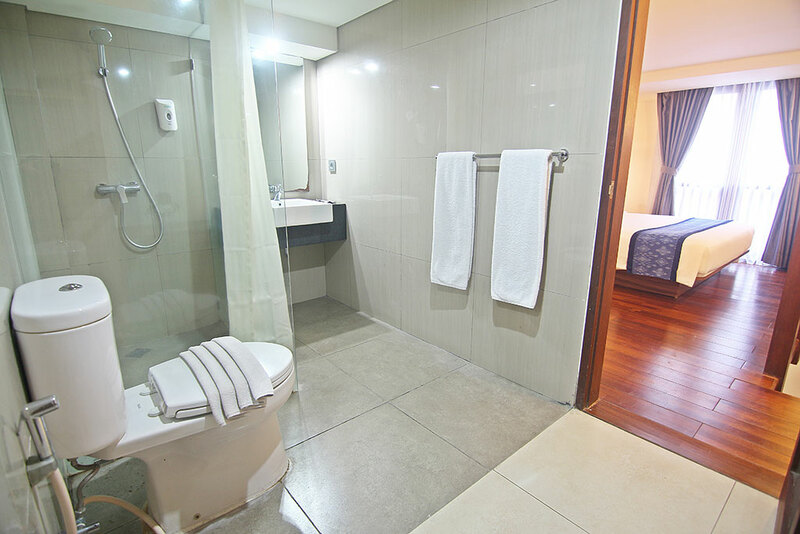 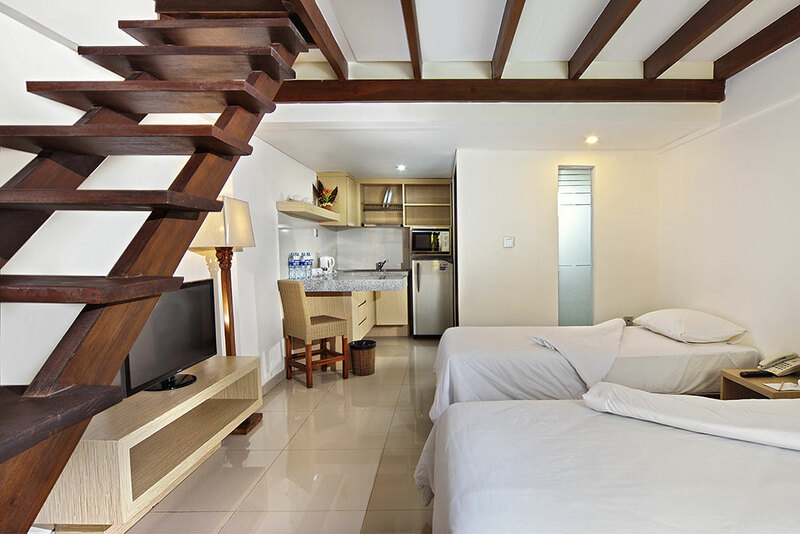 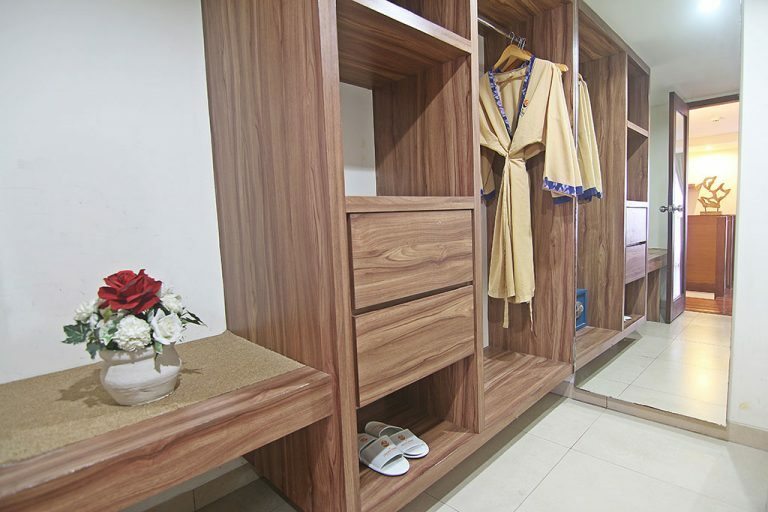 Located on the first floor, Family Standard Apartment rooms was design for comfortable holiday living. With total 8 rooms sized of 52sqm, these rooms have direct access to the pool. 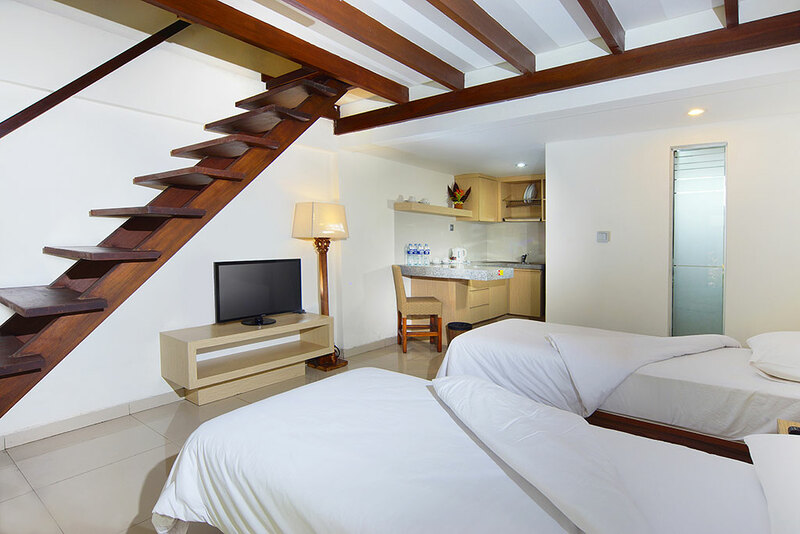 Equipped with double bed on the up stairs and twin bed in the down stair, its suitable to accommodate group of friends or family.